Moss on your lawn can be unsightly. 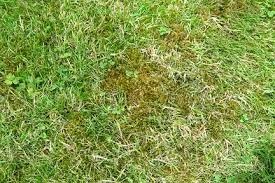 Moss can also be a sign of something in your yard that is impacting conditions for growing grass. Things like low soil pH, poor drainage, excessive shade and lack of needed nutrients in the soil could all contribute to moss in the yard. This is why it’s so important to take steps to permanently get rid of the moss in your yard, rather than just pulling up patches of moss. It’s usually not hard to simply pull up the moss. Most moss is shallow-rooted, so it can often be pulled up or raked. Problem is, this may just be a temporary solution. There’s a chance the moss is sprouting because your lawn lacks fertilizer. Moss will often grow where grass strands are malnourished. Feeding your lawn a fertilizer with nitrogen will help increase the density of the lawn. It’s always a good idea to fertilize at least once in the spring and once in the fall. Too much moisture can also bring out the moss. It’s important that your lawn gets a regular helping of water. This is where a lawn sprinkler system with a timer can really pay off. But it’s also important to make sure over-saturation does not occur. This can also happen if part of your lawn sits in a poor drainage area. By the same token, too little moisture can also breed moss, especially in the summertime. Brown is a bad color for a lawn. Lawns that are not regularly irrigated will turn brown quickly during the sunny, hot times of summer. There are many products that help kill moss in yards. One option is moss-control soap. This can often be found in a hose-end sprayer. Sometimes, getting rid of moss permanently means getting rid of thatch. Power de-thatching machines can be rented at many mower dealerships. You can also have a trained landscaper do the job to make sure it’s done safely and effectively.